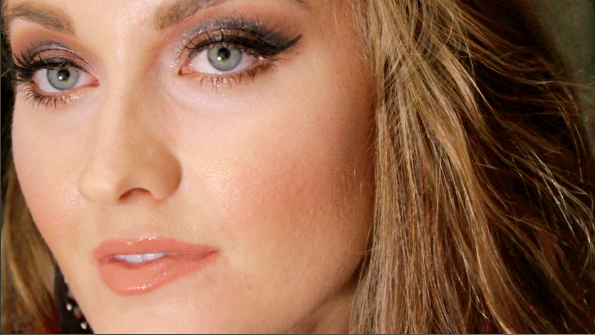 This tutorial shows one of my favorite looks to wear when going out to a club/bar or a concert! I finally caved and bought the gorgeous eyeshadow I have been lusting over for ages, MAC's Deeply Dashing. It is a stunning cool, ashy brown color with fine silver glitters. It looks incredible applied dry or wet and gives the most amazing wet/dewy effect when applied on top of a MAC Creme Color Base. For a nice contrast, I used a warm orange-toned brown, MAC Soft Brown, in the crease. For extra impact, I applied a matte black color, MAC Carbon, in the outer half of the crease in a softer version of the "cut-crease" technique.